Population: Estimated 50 million, 100 million by OPA estimation. The Belt is one of the most diverse but also a troubled sector of the entire Solar System. Consisting of hundreds of Space Station, Moon bases, and far-reaching outposts. The Belt could be easily be described as the most diverse of the factions, holding everything from small outposts to large city-sized shipyards that most could only ever imagine in their wildest dreams. The Belt is generally poor and has no complete government, in fact, much of it falls under the control of either Mars of Earth. 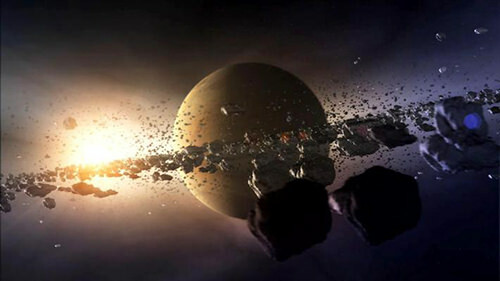 Most Stations and outposts constructed within the Belt were originally founded by either Terra or Mars, built as a means of mining, food production, and in general just gathering resources from the Solar System at large. Due to this, The Belt has no singular government that leads it and instead is operated by Mars or Earth in some capacity. Many stations are either influenced or directly controlled by either of the two planetary governments, reliant on their advanced medical aid and other more common necessities. Despite this control, however, The Belt has long since held a rather large drive for independence. The Belt is filled with all kinds of people, though the majority of them are workers and economically downtrodden. The men and women of the Belt often do not often live there by choice but were rather forced into their situation by the actions of their forefathers and the unfair regulations of both Terra and Mars. The Belters hold a great amount of enmity against the two planets for this, and such is obvious in their formation of the OPA. The Belters are an incredibly prideful people, and often hold hostilities towards people of Earth and Mars. Unfortunately for those born within the Belt, genetic and body misconfigurations plague them more than most others in the System. The Belters require medications and spinal injections to ensure their bodies grow and adapt properly out in the vestiges of space and these medications can often go wrong. Belters can suffer from deformed bones, a lack of resistance to gravity, and the same debilitating problems with the sun as Martians. Belters have a laundry list of problems to deal with when traveling to Earth, Mars, and even some stations. Belter Creole, colloquially known as "Belter", is the cultural language spoken by many Belters. It is primarily derived from English with various influences and contributions from languages such as German, Chinese, Romance languages, Hindi, Slavic, Bantu, and many others. It also has various dialects with variations based on where they originate from in the Solar System.